This is the weekly ownCloud community update for the week of June 16 to June 29. These updates pull together activities from development mailing lists, blogs, coding work and everything else community members share with us. Tips are very much welcome! Ping Jos with your input. 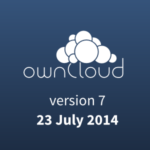 Most development is now aimed at testing the upcoming ownCloud 7. A beta was made available for testing and minor releases for ownCloud and the desktop client were released. 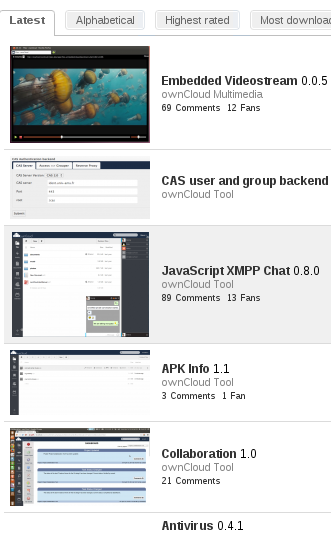 There was much activity on apps.owncloud.com with six updated and two brand new apps. You can read the report from last two weeks here. As noted last week, development is in feature freeze for the release of ownCloud 7 and we focus on polish and stability. There is thus relatively little news from the front line, other than of course our call for testing! ownCloud desktop client 1.6.1 was released, read this blog by Klaas for some background on the hard work the team put in. While feature work took a backseat, more than 150 commits were merged in core alone! The Storage Charts app also was updated but it isn’t clear what changed. Perhaps it works with ownCloud 7? The Popup app, still wet behind the ears, got an update to 0.2 – fixing a bug in the forgot password section. Its developer has even defined a TODO item so I think we can soon expect another update! On Planet ownCloud we have been missing the blogs by Raghu Nayyar, as we couldn’t get him added to our blog roll properly. And missing is the right word, as Raghu has been working on the ownCloud Calendar, and is doing great work. Those who wish to read up on what he has been up to can find his blog here. We’ve got a new website up! If you haven’t seen it yet, visit owncloud.org and check it out! On the devel mailing list, Chris asked people to help answer questions on the forum. There are unanswered questions and any help is welcome! There are meetups being organized around ownCloud! For those of you living in or close to Berlin or Münich, there will be a meetup every third Wednesday of the month. And Tuesday July the 8th, there will be a meetup in the ownCloud headquarters in Lexingtontalk, close to Boston, Massachusetts. All ownCloud meetup groups are gathered on owncloud.meetup.com. Last but not least in meeting news, ownCloud will have a contributor conference at the end of August in Berlin, Germany. 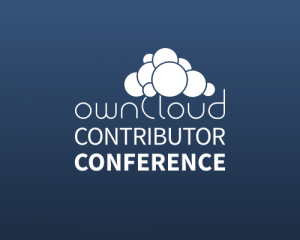 Check it out if you want to help make ownCloud even more awesome! 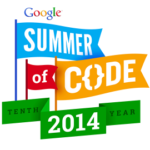 ownCloud meetups are a chance to learn more about ownCloud or even to get coding work done. If you know of other (regular or not) meetups or are interested in organizing one yourself, let me know so I can help you out!